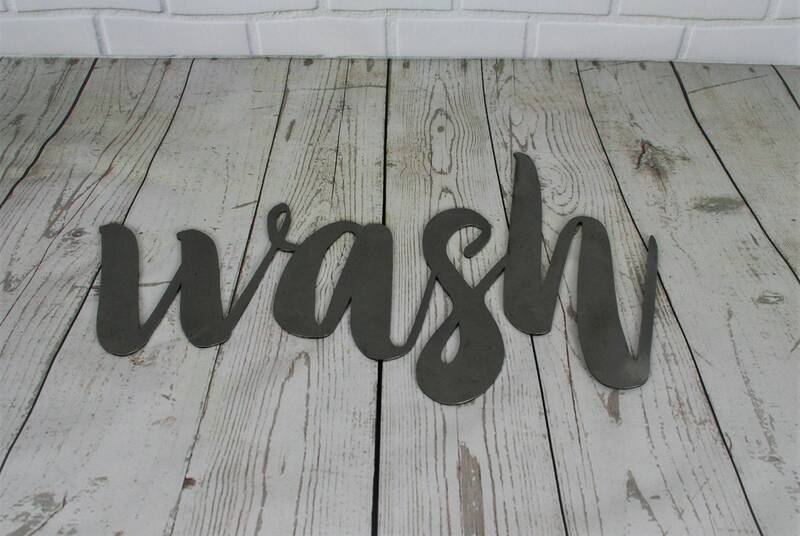 wash raw steel script sign. Script wash raw steel sign is is ready to paint. 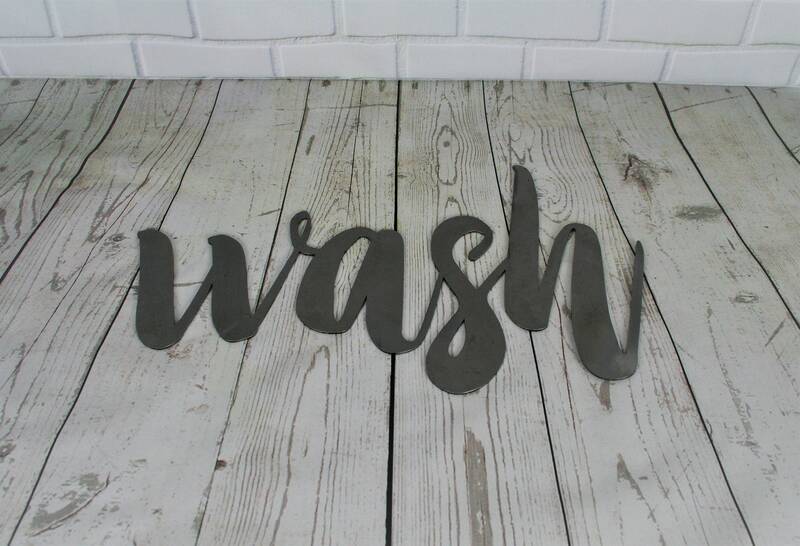 Adorable decor for your laundry room! 8.4x14.1" in size. This metal script word art is cut from steel about as thick as a nickel. 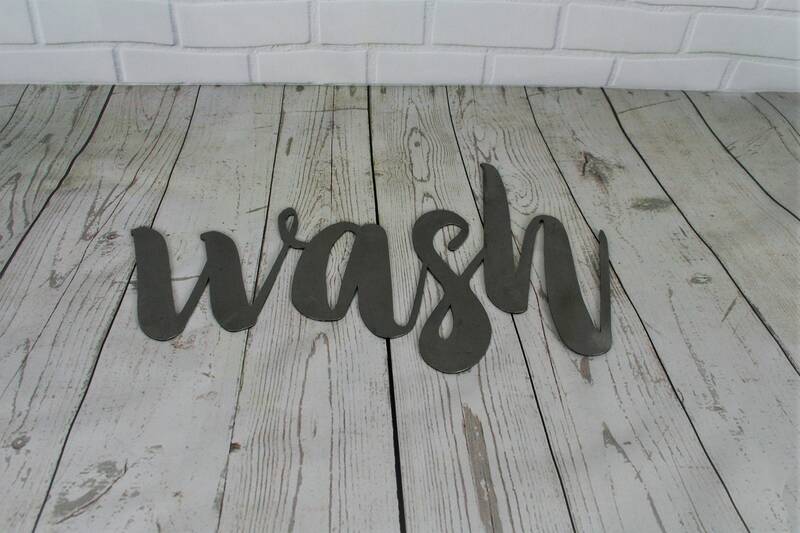 Available as a single word as a a set of 3 signs: wash, dry and fold. My items were shipped immediately and arrived packaged nicely. All items exactly as pictured. Thank you! !